The Fifth Wave: SURFACING 2003. Compiled by Andrew Lyon. Scottish Council Foundation 2003. The Fifth Wave: SEEDING: 1973 - The work reflected on this site stemmed from a recognition I had as a medical student that our current approaches were inadequate to engage with human inner life and capacity, and equally inadequate to meet the challenges of the now evident long term conditions epidemics. 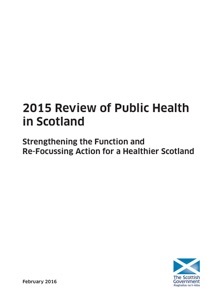 The fresh ideas that emerged from my enquiry helped seed the ideas of a “Fifth Wave” of Public Health - one that builds a culture of health, founded on human capacity. The Fifth Wave: GROWING 2003-2011 Extensive field studies and modelling - incorporating ‘Learning Journeys’ through the country as part of The Cultural Influences on Wellbeing project (www.afternow.co.uk ) and new developmental care models (www.thewel.org ). This approach would differ radically from its forerunners. It is likely to be characterised by enabling government, greater interdependence and co-operation across sectors and geographies, and involvement of the public more individually and personally in improving and maintaining their own health. Davies argues that a fifth wave which is ‘cultural’ in character is inevitable – essentially a society where healthy behaviours are the norm, supported by the physical, social and economic environment.